A study performed by a Danish company showed that satisfied staff members outperform unsatisfied staff members by a staggering 202%! With that said, it is in a company’s best interest to keep their employees happy and, in turn, enthusiastic and on task. Here’s a list of 5 benefits for employers and employees alike from attending a corporate retreat. Naturally as humans we are endowed with not just one, but hundreds of talents and skills. However not all of them you necessarily get the opportunity to display or use in your day job, probably because no one knew you had them! Classic stories like, “Who knew that Phillip from Accounting was so good at motivational speaking?” or, “Jen from HR is a talented painter”. A team building corporate retreat will allow your company to maximize the talent pool that it already have. A lot of times inter-department liaising can be long-winded and unproductive when colleagues from different departments (or even different locations) have no regular day-to-day contact they do not form the close bond which we develop naturally with the people we are surrounded by daily. These bonds are important, for instance, when you email someone from another department asking for something. Instead of it going to the bottom of someone’s priority list, it will rocket to the top, saving time and giving people the feeling that they are an integrated and an important part of the company. A retreat will be a breath of fresh air to your company. Time off for employees is such an important and deciding factor in employees’ happiness. Studies show that employees with more paid time off are more content, and work harder as they are better rested and positive. It’s an old story, that one person you don’t get along with in the office. Most of the time we don’t even remember why we didn’t get along with them in the first place, or we do, and we know that it was something petty but there’s too much water under the bridge to say sorry and forget it. A retreat is the best way for people to spend quality time together and break down those barriers which we sometimes put up for no reason, and realize how amazing it feels when there’s no longer that dark cloud hanging over them. 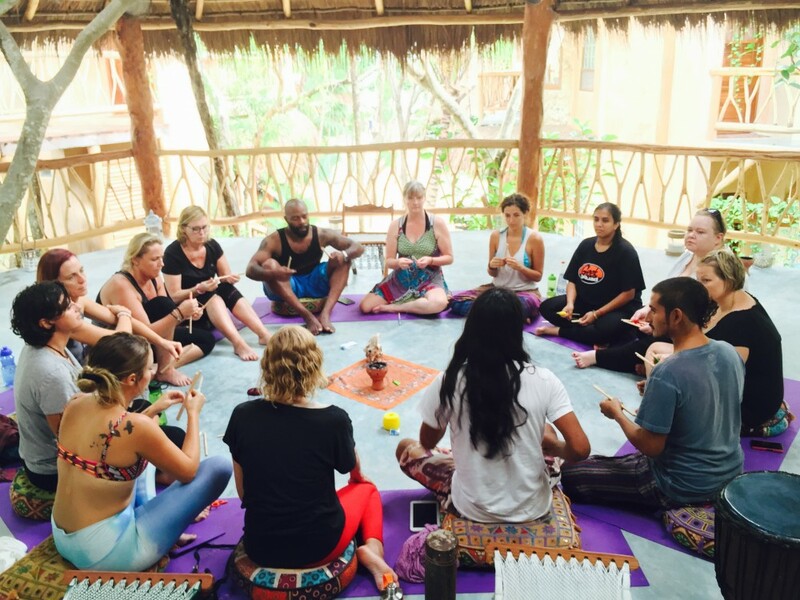 Until you actually experience a retreat, corporate or personal, you have no idea what you are missing. Time and time again our retreat attendees comment to us that they had no idea what going on a retreat would be like, and especially no idea what Life Source Retreats had in store for them! You don’t know how alive you’re going to feel and how clear your mind space and decision making can become.